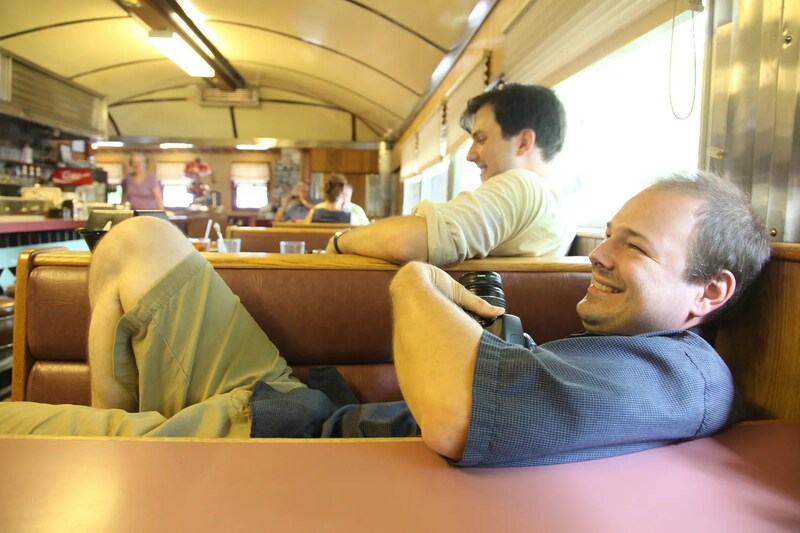 The Prospect Diner has become our go to breakfast stop ever since it was taken over by Mike Conroy. It has become everything a diner should be. It’s a classic mid 1950s Kullman, a model transitioning into the space age. I think my first stop there was when I was about five years old, so you could say it’s been a tradition for a while. 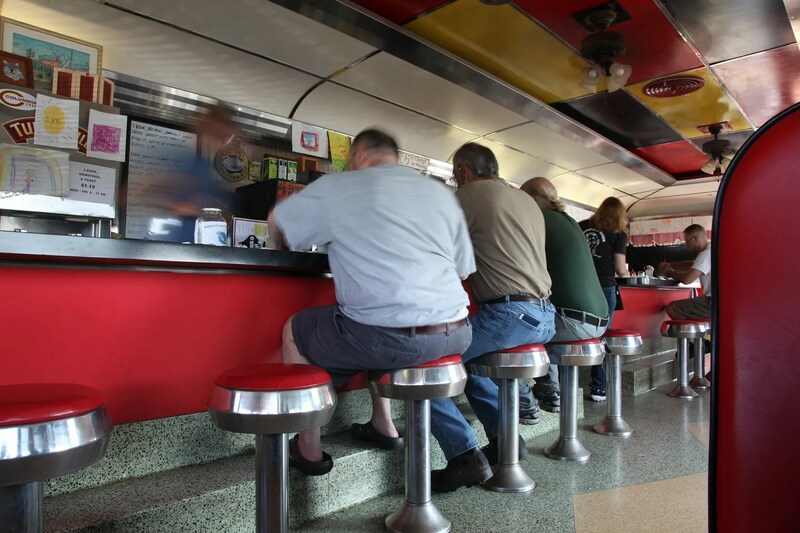 Every time we’ve been in, the diner is full of locals- always a good sign. The food is good, plentiful and inexpensive. 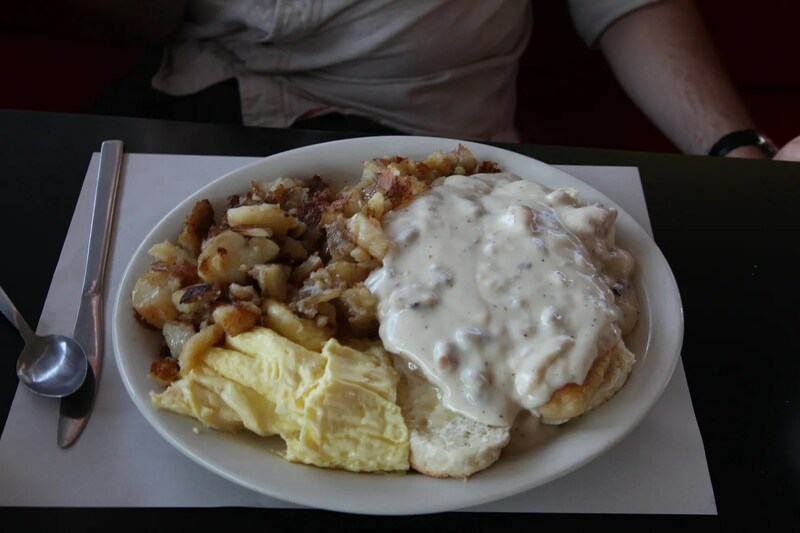 I had chicken and biscuits, topped with sausage gravy. Side of (perfectly done) home fries, and coffee which, thanks to expert waitressing, never dipped beyond half empty. 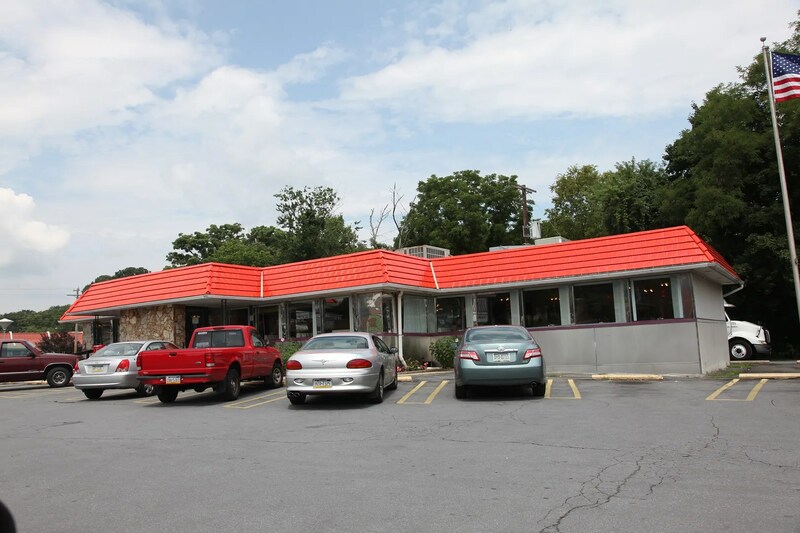 We traveled on from Columbia to Lancaster, passing the Columbia Diner, at 1725 Columbia Ave Lancaster, PA. It’s a remodeled ’50s Kullman, known as the Wheatland Diner from 1955 to 1973. 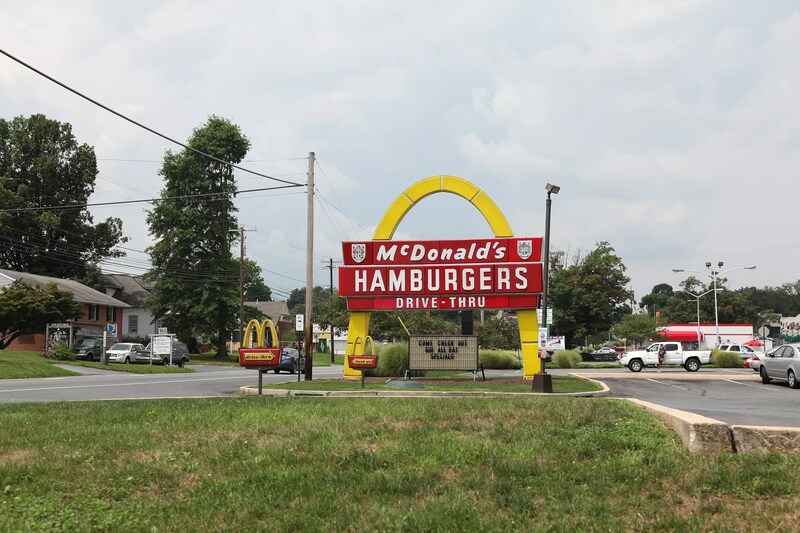 Directly next door to the Columbia diner is this old McDonalds golden arch. 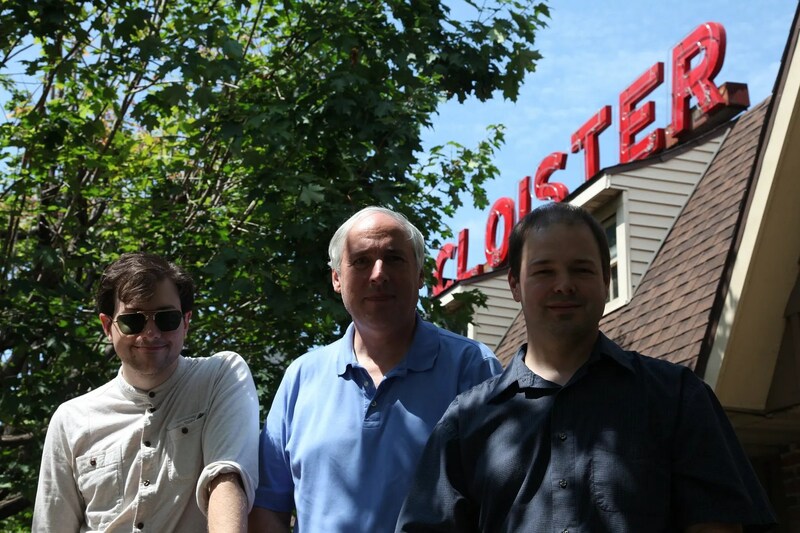 The main event, a meet up with Michael Engle and Glenn Wells at the Cloister Diner. 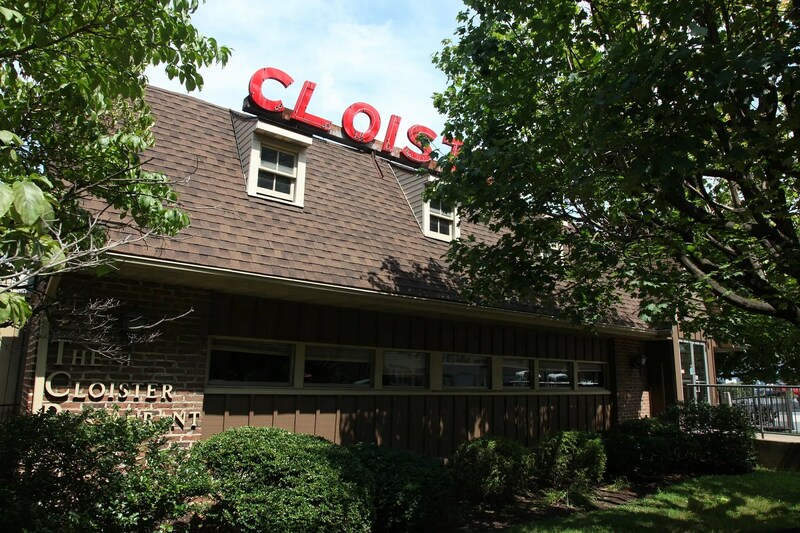 The Cloister is a 1952 Silk City. 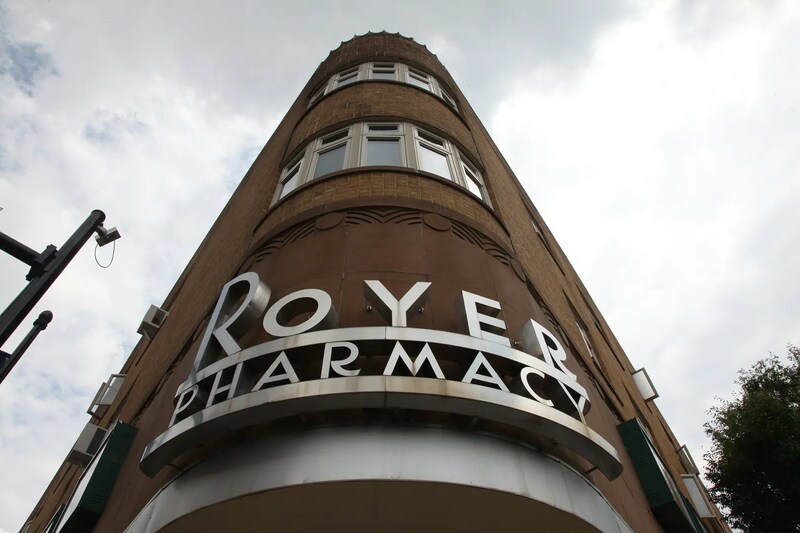 It was remodeled in the 1960s. 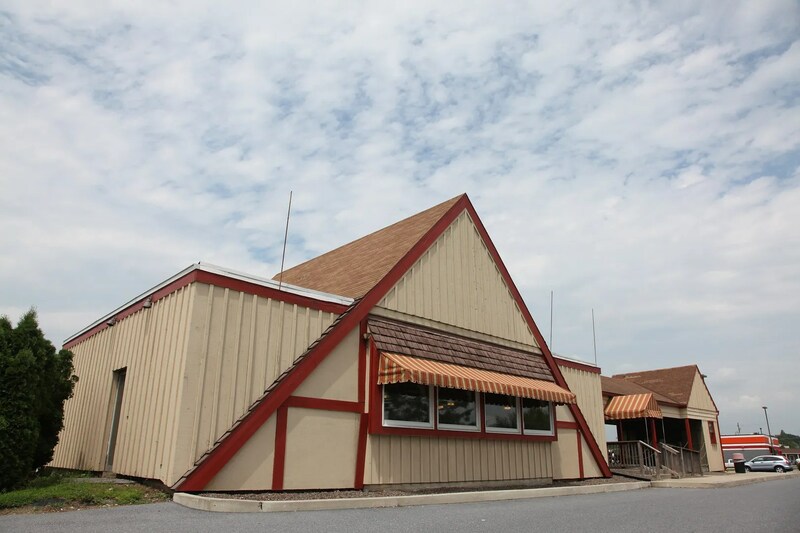 The end wall was removed to open the diner up to a dining room addition. The tile in the addition flows very nicely from the diner itself. Panels from the end wall were moved to replace the front door, which was also removed in the remodel. 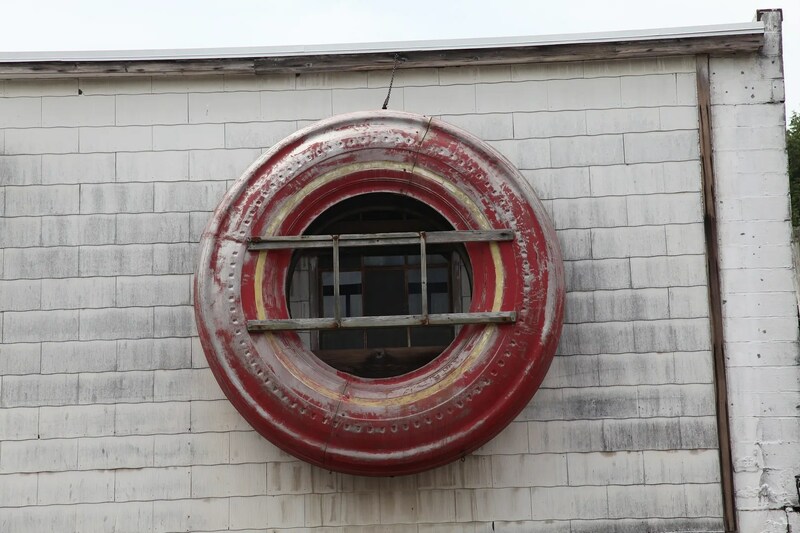 The original neon was kept on the roof during the remodeling, really the only hint from the exterior of what lies inside. 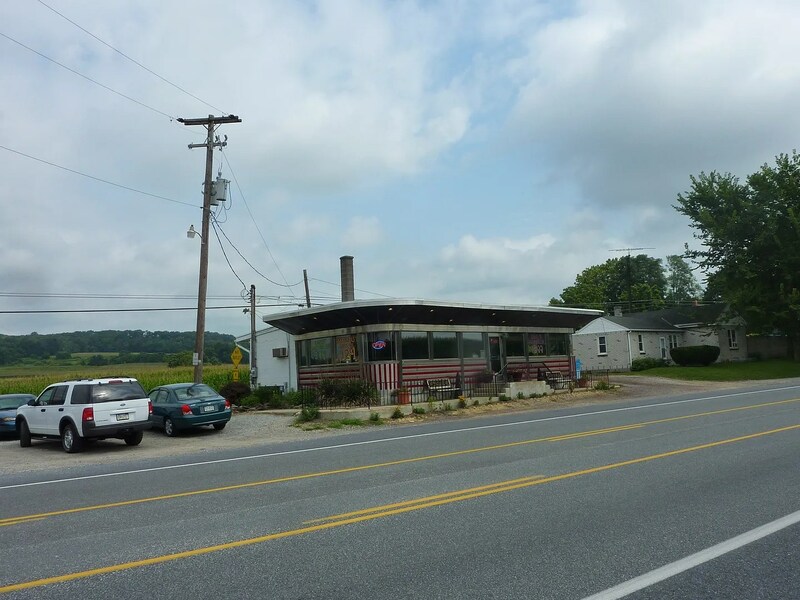 We were lucky enough to chat with the truly inspiring Elva Stauffer, the owner of the diner since 1972. Fresh homemade peach pie. It’s as good as it looks, believe me. 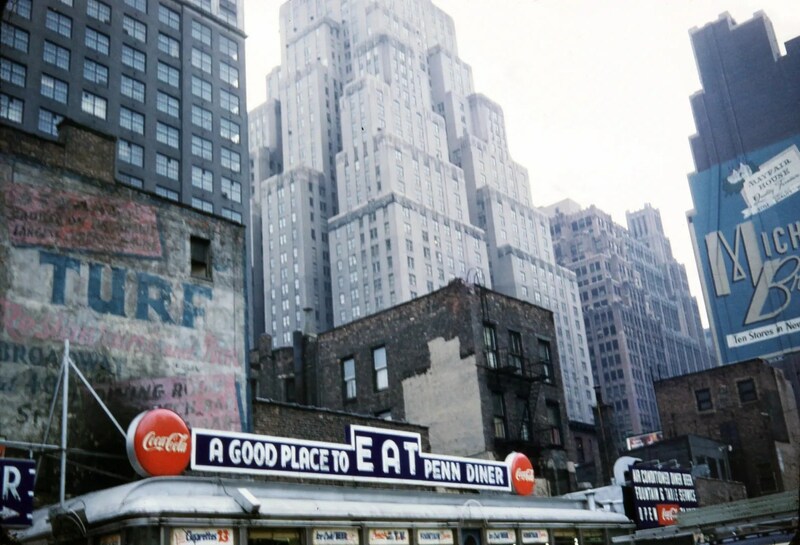 I just got this (probably) 1950s slide of New York City’s Penn Diner. It replaced an older barrel roof model, but the neon transferred. The caption on the slide is in Japanese. 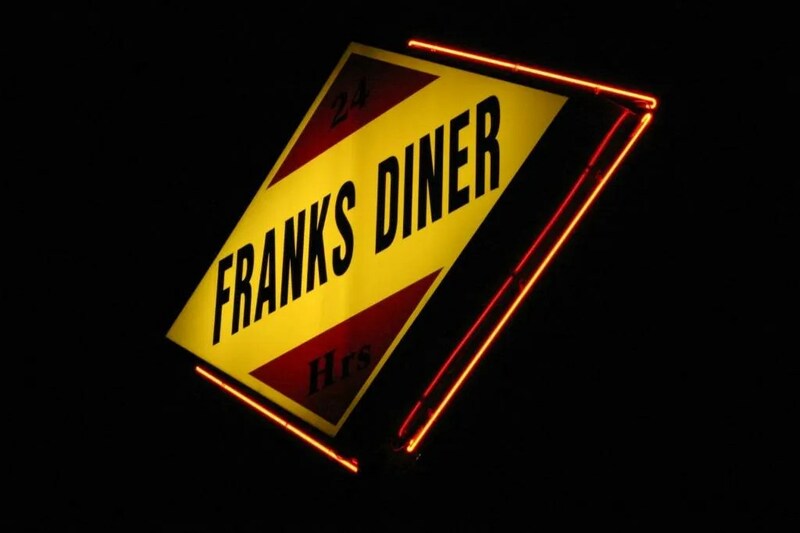 Frank’s Diner is a Kullman Princess, originally from Carney’s Point, New Jersey, where it was known as the Olympia Diner. It’s original foundation and kitchen are still there as of last I checked. 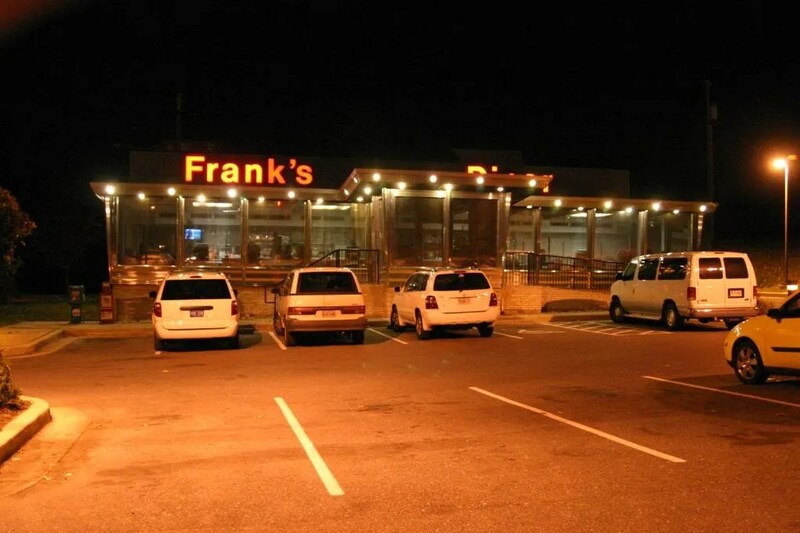 Frank’s is located in Jessup, Maryland and as you can see, looks great. 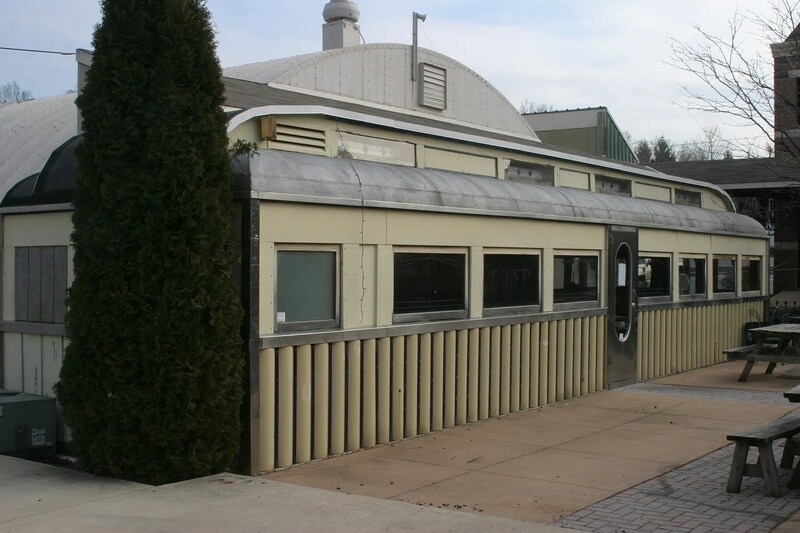 I just ran across additional photos of it from when it was still operating in Pennsylvania in the courtyard of Adam’s Antique mall. 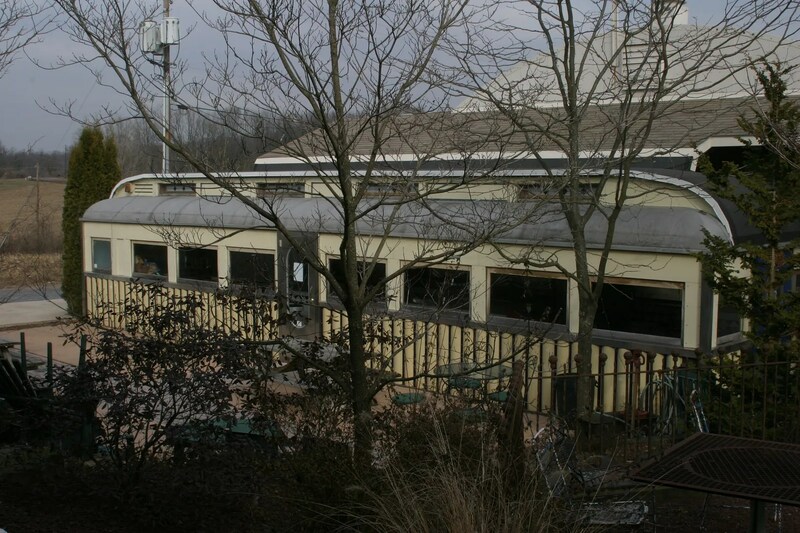 Outriders Diner was built by Kullman in 1937. It was demolished in 1999. 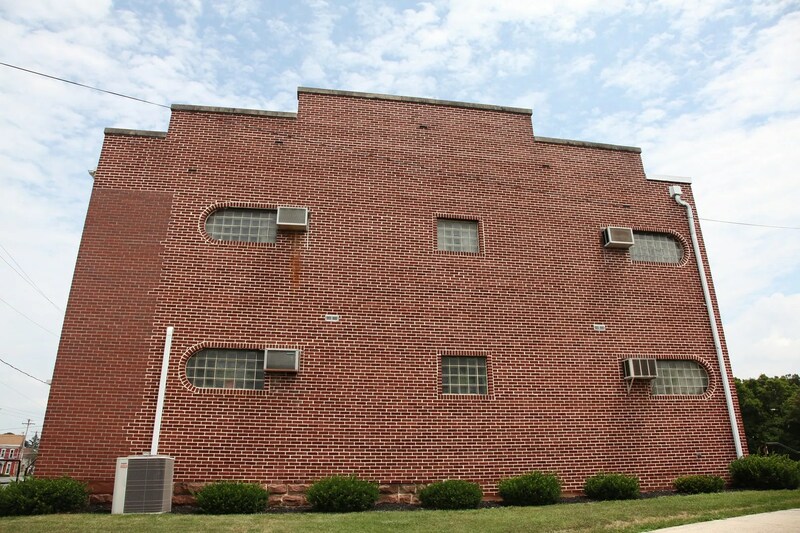 It was located at 9855 Washington Blvd. (Rt. 1) and Whisky Bottom Road, in North Laurel. 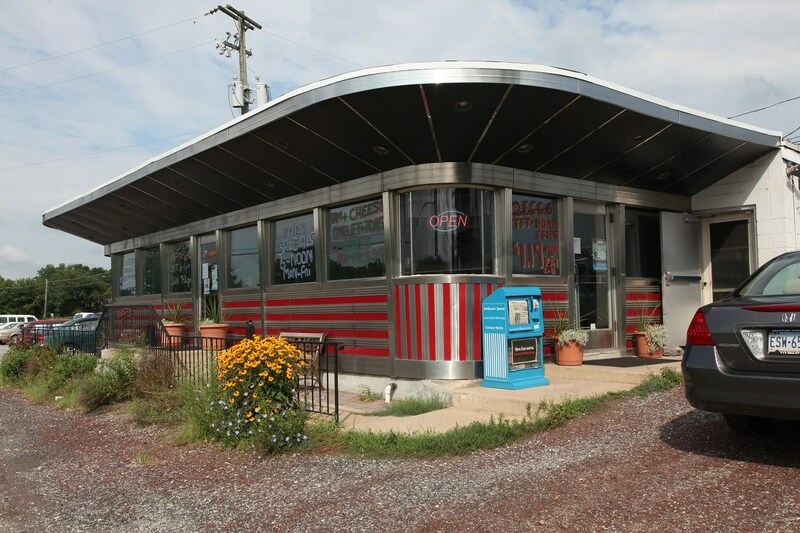 It was attached to a bar, similar to the setup just down the road at the Tastee Diner (formerly the Laurel Diner). 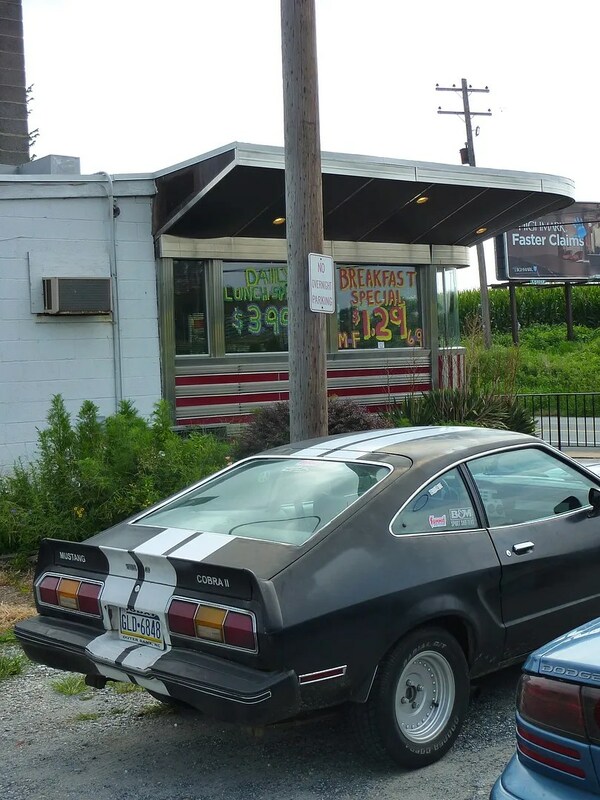 The setup of the diner is interesting, with the door at the end, by the glass brick corner. The door is flanked by a glass brick “delete” panel, keeping the window grid even. 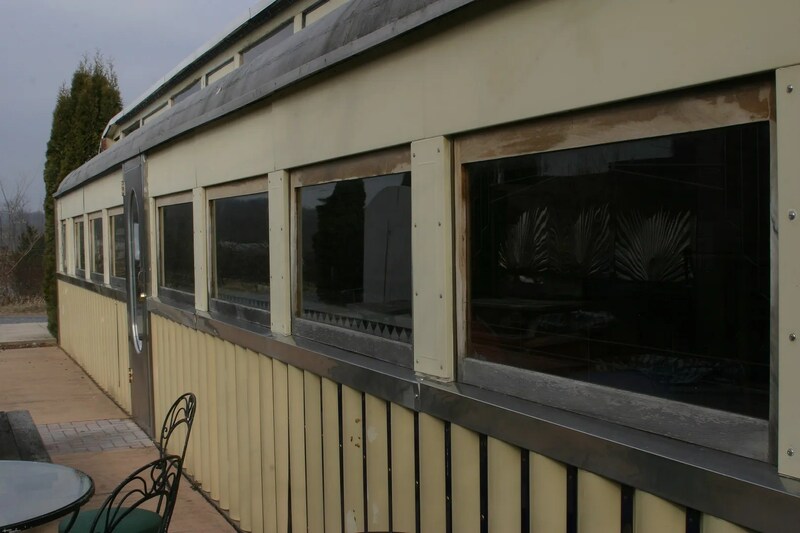 The fabric awning was replaced with a metal one sometime in the 1950s, and a vestibule was added, much more in keeping with the style (lack of style?) 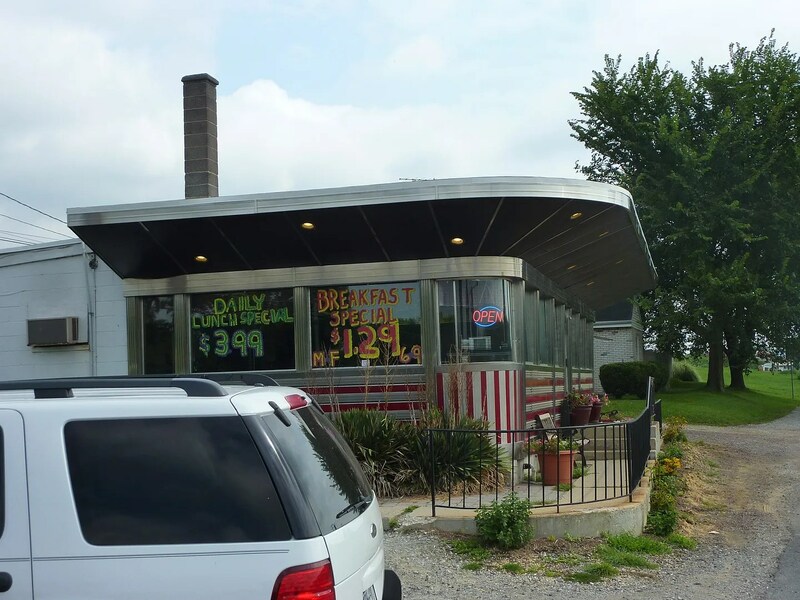 of the addition, than the diner. 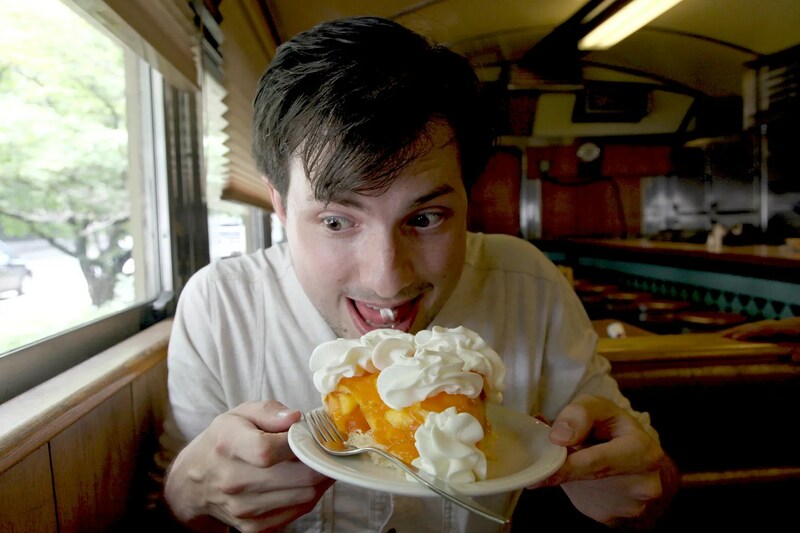 Though the neon is now gone, the Prospect Diner is better than ever. 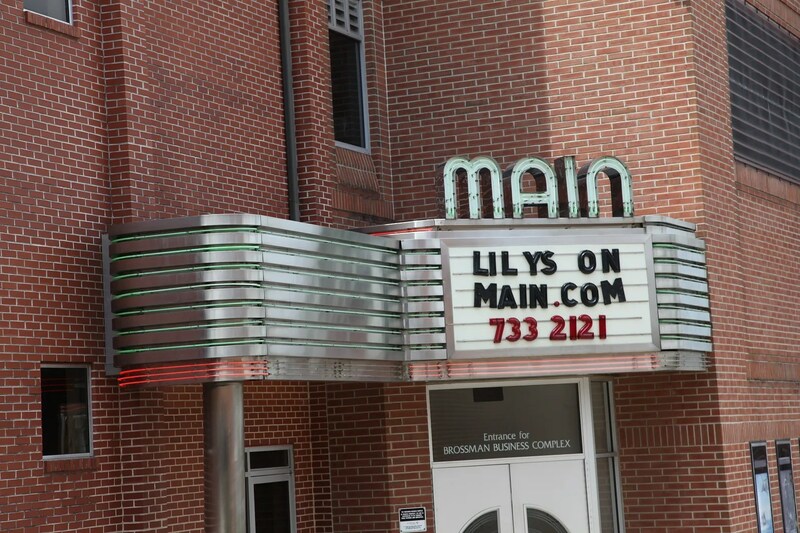 Great food, low low prices and a great diner atmosphere. 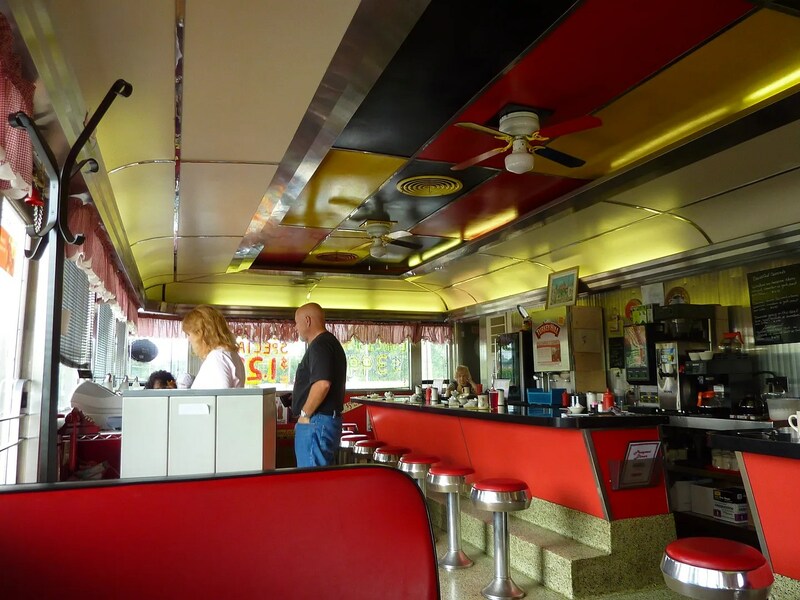 This is one of my favorite ’50s diner designs. It’s transitional, not quite space age- not yet, but man does it ever look cool. 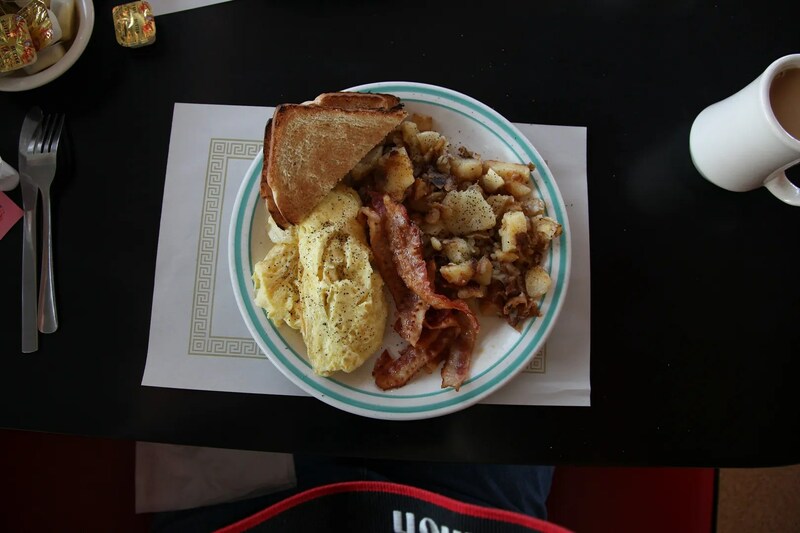 I had scrambled eggs, corned beef hash, homefries and toast. The home fries and hash were great; nice and crusty without being burnt, just they should be. The coffee was fresh and refills came fast. Hi everyone! Thanks for weighing in on the new location. We are sorry the news was so disappointing and believe us after putting our blood sweat and tears into the Rockville location, we are sad to be leaving, however our lease has expired. And, unfortunately, it is not feasible to cut up the 8 different modular sections that make up the diner & reassemble them as an operating restaurant. 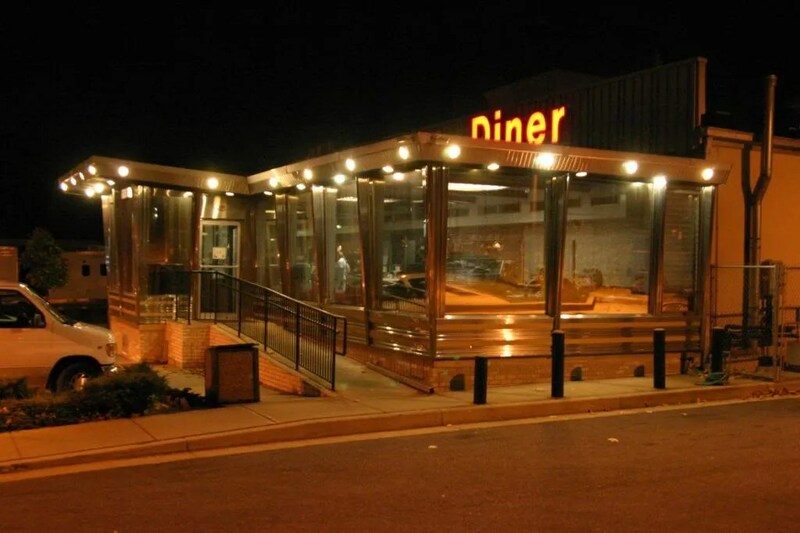 So after 20 great years, we are headed down the road to create the Next Generation Diner incorporating all the best features we’ve built into Silver Diner for the last 20 years. 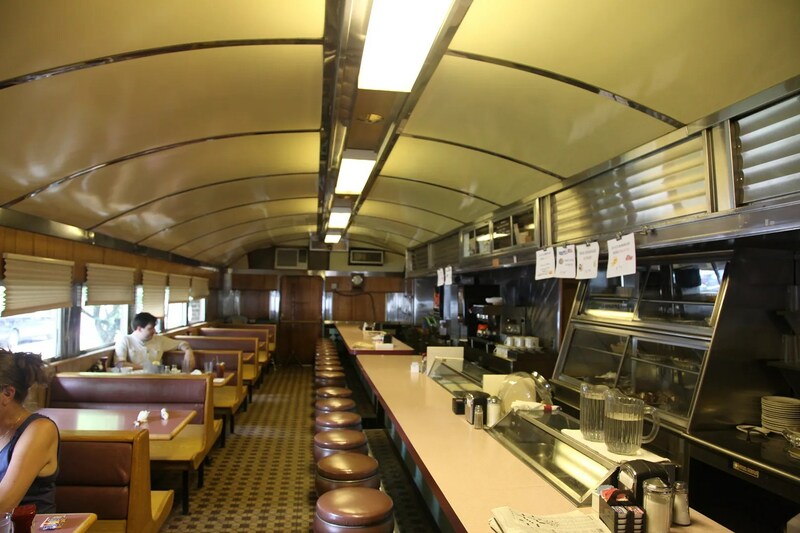 But, don’t be so quick to say goodbye, if you miss the old diner you can visit it around the country. 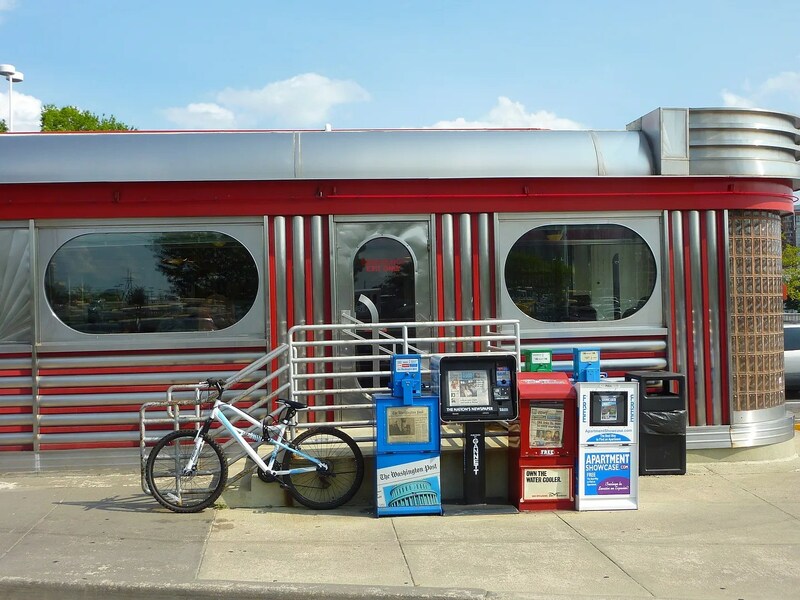 The old diner will be available at different museums to help preserve the Silver Diner history! I’m curious what they mean about visiting it around the country at different museums? Are they talking Dan’s Diner Salvage? Is it feasible to chop it up and ship it hundreds of miles but not the couple of blocks down the pike? Are they just taking select bits from it and bulldozing the rest?